Mr. Busilacchi has over 37 years experience as Director General in the health care network, including 17 years in a university hospital setting. 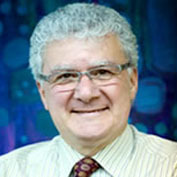 In June 2012, he became Executive Director of the Rossy Cancer Network. Prior to that, he held the position of Director General at the Institut de cardiologie de Montréal (2004–2011), Associate Director General of the CHU de Bordeaux (2002–2004), Director General of the CHU de Québec (1996–2002) and leadership positions at several other institutions. Mr. Busilacchi has extensive experience in community involvement, especially in engaging business community support for major improvement projects.